Police arrested Ramon Jefferson Wednesday night. Jefferson is a second-year running back for the Black Bears. 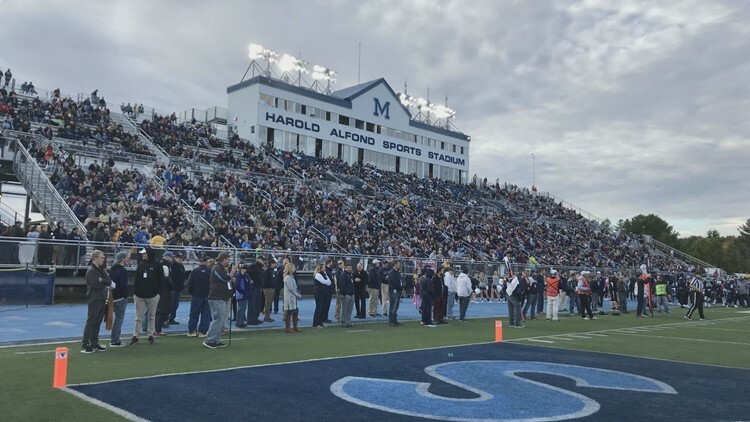 OLD TOWN, Maine — Old Town Police arrested a member of the Maine Black Bears football team on Wednesday night on domestic violence assault and criminal mischief charges. Police arrested Ramon Jefferson, a second-year running back, who redshirted in 2017. Bangor Police said the victim lives in Bangor, which is where the assault occurred. Old Town Police arrested Jefferson at his home in Old Town. Jefferson posted bail last night, according to police. The University released a statement in an email saying that Jefferson alleged to have violated the student code and student-athlete codes of conduct. "UMaine’s Student Conduct Office in the Division of Student Life is conducting a thorough investigation and any interim disciplinary actions, such as suspension from the university, are being determined today," the email from UMaine director of public relations, Margaret Nagle, says. The email also says Jefferson will not participate in athletics pending the investigation.